Winchester Hospital continually invests in new programs, technologies and staff to better meet the evolving health care needs of the communities we serve. Additionally, we work to improve the health of our communities through education and awareness. Winchester Hospital was designated as a Magnet organization in 2003, 2008, and 2013 by the ANCC Magnet Recognition Program. This prestigious designation recognizes excellence in nursing services. 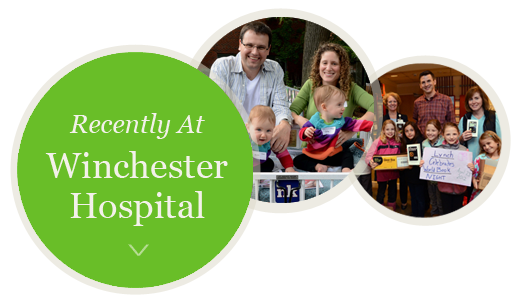 In July 2018, Winchester Hospital is applying for re-designation. Winchester Hospital/Shields MRI intends to file a Notice of Determination of Need with the Massachusetts Department of Public Health for expansion of its existing clinic through the acquisition of a third MRI unit. Lahey Health has named Winchester Hospital physician Arlan F. Fuller, MD, to the newly created Telemachus and Irene Demoulas Family Chair for Women’s Health. Dr. Fuller is the Clinical Vice President for Oncology Services Integration and Academic Affiliations at Winchester Hospital, a member of Lahey Health. Winchester Hospital partners with Winchester Soccer Club to provide youth and families with a health and awareness program.